Race car driver, team owner, and Adobe Road Winery proprietor, Kevin Buckler – who has won the Rolex 24 at Daytona four times among numerous other motorsports victories – has just come out with a new racing-inspired series of wine that includes one designed in homage to Rolex’s famous driver’s watch: the Daytona. 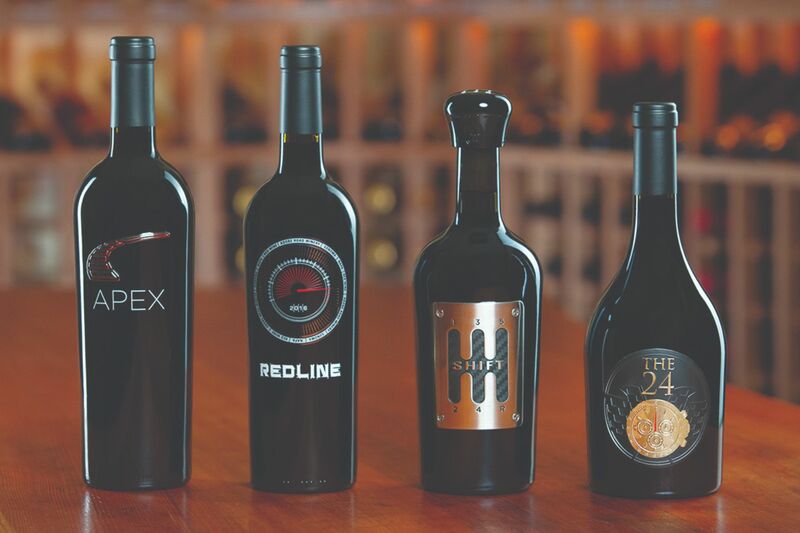 The new Racing Series collection (Image: Adobe Road Winery). THE 24, which has an image of a Rolex Daytona on its label (but without the actual Rolex crown logo or text) is a Rhone-style blend of Grenache, Mourvedre, and Syrah, with Malbec for added spice and character. It’s an homage to the watch that is awarded to winning drivers at both the Rolex 24 and the 24 Hours of Le Mans, the world’s two most famous endurance races. 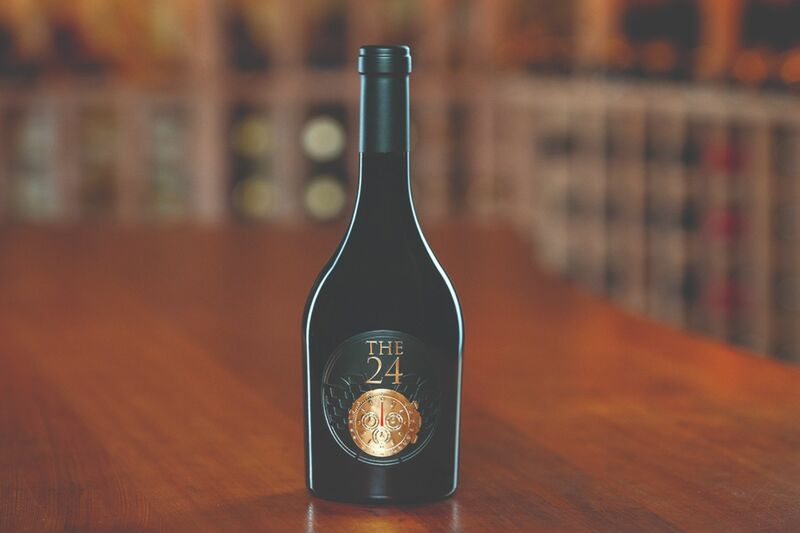 The bottle of THE 24 has an image of a Rolex Daytona on its label (Image: Adobe Road Winery). 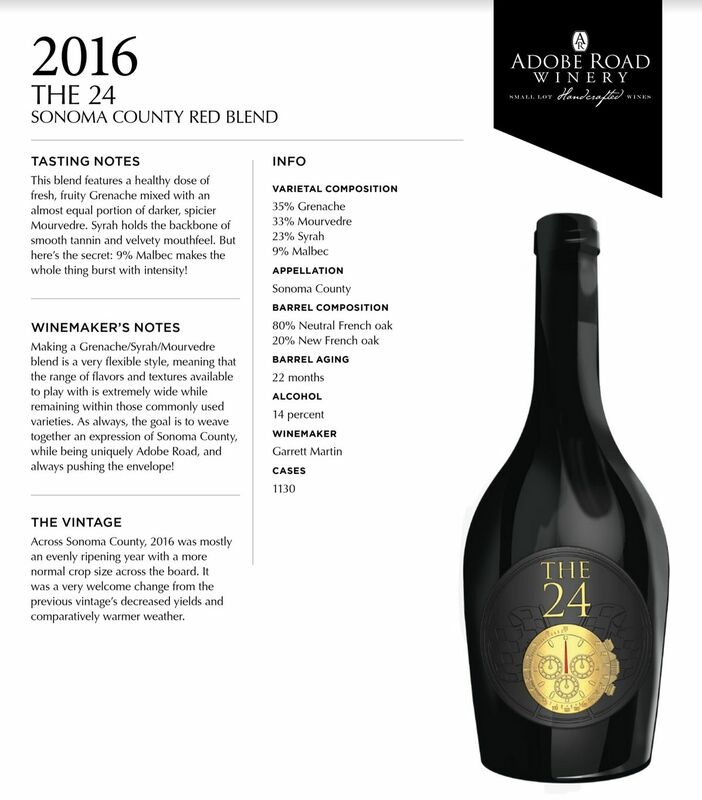 THE 24 is a red blend of Grenache, Mourvedre, and Syrah, with 9% Malbec for added character (Image: Adobe Road Winery). REDLINE is silkscreened with a vintage tachometer representing Kevin’s very first victory, and is a rich blend of Cabernet Sauvignon, Zinfandel, Syrah, Petite Sirah, and Malbec. SHIFT is a “daring” combination of Zinfandel, Barbera, Grenache, Petite Sirah, and Carignane. The bottle sports a metal label that resembles a vintage, gated shifter and the cork is topped with a five-speed shift knob. 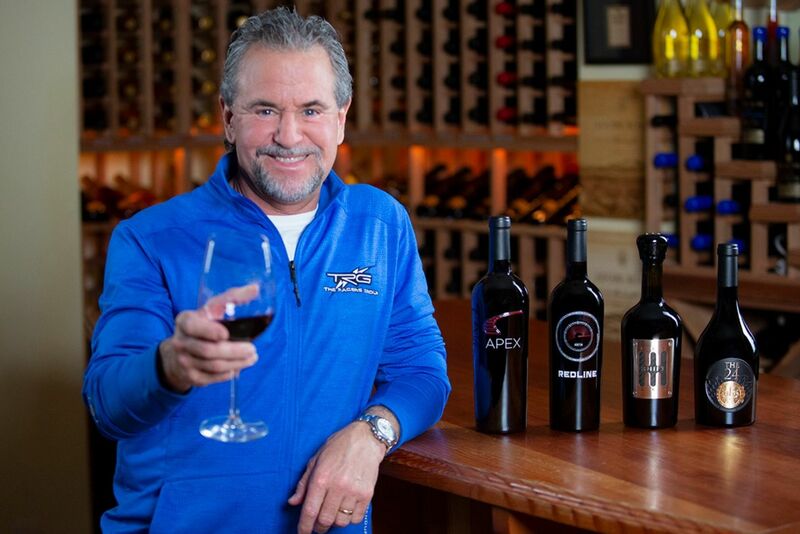 APEX is an ultra-premium blend of Cabernet Sauvignon, Syrah, Merlot, and Petite Sirah with a metallic section of curving “apex” racetrack on its bottle. The four wines in The Racing Series, which just made its debut at this year’s Rolex 24 event in Florida, will be sold individually and as a complete set in a custom display box. Kevin Buckler and the Racing Series collection of wine (Image: Adobe Road Winery).